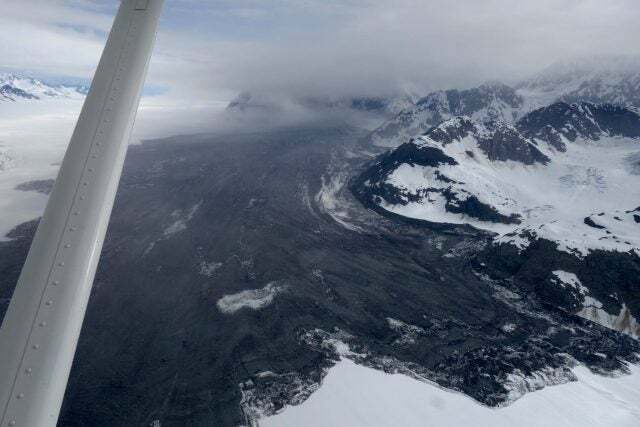 The Lamplugh Glacier rock avalanche, which occurred at 8:21 a.m. on June 28, was discovered by Paul Swanstrom, a pilot from Mountain Flying Service. No one was around to witness the event, but it must’ve been an awesome sight. A 4,000 foot-high mountainside collapsed, unleashing an estimated 150 million tons of rock. 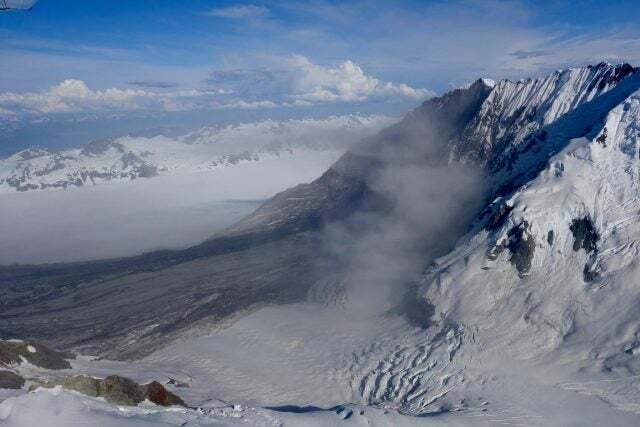 The rushing debris spilled onto a glacier below, creating a runout field that extended for 6.5 miles. Swanstrom managed to shoot some incredible video as he flew over the debris field. Stark estimates that the force of the slide was around 280 giganewtons, which he compared to 100 million cars falling down the slope. Stark and his colleagues were able to detect the landslide using long-distance seismometers, and says he knew about this one “very quickly” after it happened. The slide was so big it registered 2.9 on the Richter Scale. Writing in the AGU’s Landslide Blog, geologist Dave Petley says it’s “a very deep-seated, ridge crest to slope toe failure of unusually large proportions”. Bits of rock and mud flowed on the glacier, creating “complex structures at the toe”, which were likely caused by the “final creeping stage of movement”.